It's time again for another Verve Get Your Diva On Challenge and this month Sankari has challenged us to using a monochromatic color scheme. I actually enjoy working with monochromatic schemes and my favorite one to use is pink. 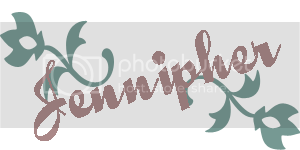 I used Blushing Bride and Regal Rose from Stampin' Up!® to create my monochromatic color scheme. The challenge this week at Stamp R Us is friendship. I made this card with my long-time friend, Joanne in mind. We met each other at work several years ago, instantly hit it off as friends, and worked together for 16 years until I had to leave retail due to Fibromyalgia. Of course we promised to stay in touch and get together as often as possible but life does get in the way and it's been awhile since I've seen her. She's really been on my mind a lot this week so I used the "I've been thinking about you" sentiment from Verve Stamps. A nice lady whose name is Heather from SCS left a comment on my card in the gallery and said it fit perfectly for a new challenge that started this week at Dolce Stamps and Cards to create a distressed card. I rarely make a card without distressing the edges of at least one piece of paper or using inks to distress the edges so this was right up my alley. Thanks Heather for that tip! Thanks for stopping by today. Hope you all are having a blessed weekend. This is so pretty Jennipher! LOVE all the pink colors too. Very nice. 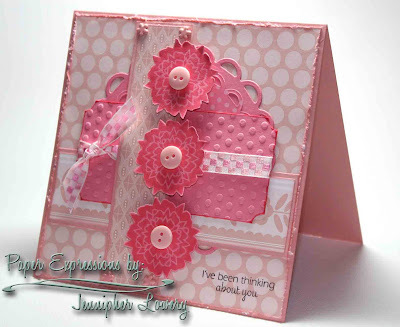 I love monochromatic color themes.. your card is stunning! Beautiful and very eye catching! So glad you joined us for Dolce Stamps and Cards first challenge! hun, this is so sweet and delicious! a great interpretation of the theme! So pretty in pink Jennipher! Love all the layers and texture! Very beautiful monochromatic card! It's elegant and full of texture at same time. Oh my, Jennipher! I don't know which part of this I love the most - all the pink fun or the beautiful design! Just as gorgeous as can be with all the different element and texture to the card - fabulous work!! This is so pretty with the monochromatic pink!! I love all the different textures, the distressing and the embossing, just gorgeous. Ooooh, this is so pretty and pink! I love all the layers and the texture. Awesome card Jennipher! This is just gorgeous!! I love the colors and your distressed edges. Awesome card. Love all the pinks together. This is gorgeous Jennipher! I LOVE the colors and all of your layers! Fantastic design!! Such a pretty card! I love all the layers and the buttons add a wonderful touch. Very pretty! So many textures and details! So pretty; love the colors and I LOVE POLKA DOTS; this rocks! Beautiful card, Jennipher. I love the monochromatic pink colors. Fabulous!!! So beautiful. Love those two shades of pink together! It is hard to stay in touch with work friends. It is amazing how close we become during all those work hours. Awesome card!! I have the hardest time with this kind of color scheme. I should practice more. I love this card though. The pink is perfect. Great Card, not a pink girl myself but have to say I love the pink when used like this, very pretty thanks for joining us at Dolce Stamps and Cards. Way to pink it up, love it. oohhh wow, I am loving this one too, wow, so many yummy textures and layers. It's beautiful. Pinkalicious and pretty! Thanks for playing in the Dolce challenge! Fabulous distressing and texture! Thanks for entering this pink beauty in the Dolce Stamps and Cards Challenge! Love the mono and I love the distressing and the lined up flowers are flabby too! I love the pink and the design just keeps my eyes moving. Great job! Thanks for joining Dolce Stamps first-ever challenge. I hope to see you as a regular.